All the disciples forsook Jesus when He was captured. But Peter did much more than that. He denied the Lord three times – as if he had never heard of Him. Finally he began to curse and to swear, saying, “I know not the man” (Matt 26:70-74). Then Peter went out, and wept bitterly (Matt 26:75). But what was the use? Within a few days he was planning to go back to his old profession (Jn 21:3). Perhaps you are like Peter – after repenting about a particular sin, you may repeat it. Do not be discouraged; there is still hope for you in Jesus. Such a cursing, swearing backslider as Peter was restored and finally he lay down his life for the Master. According to his desire, He was crucified upside down, as he felt that he was not worthy to be crucified as was his Master. He wanted his posture (in crucifixion) to be such as his lips could kiss the feet of his Lord. What a wonderful work of grace. Dear reader, perhaps you are perplexed and plagued with backsliding – like Peter. You may be repenting and afterwards repeating the mistake or doing worse. 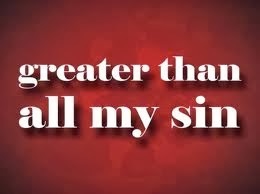 Do you realize that God’s grace through the power of the Holy Spirit is greater than all your failures and mistakes? Trust His grace. “Where sin abounded, grace did much more abound” (Rom 5:20). If the grace of God can change Peter, it can change you too.